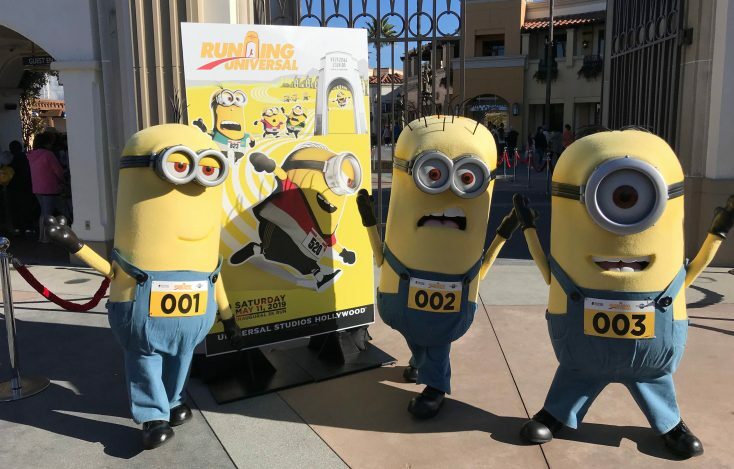 UNIVERSAL CITY—The mischievous Minions Tim, Tom and Stuart celebrated the announcement of the upcoming Running Universal Series with a special Minions 5K Run at Universal Studios happening on May 11. What better way to stay on top of one’s New Year’s resolution than by running a 5K run? The Minions were joined by their trainer, Monica, as they showcased to the crowd how they are preparing for the upcoming run this past Thursday. The trainer, who simply goes by Monica, said the Minions basically need to warm up and then have some bananas before they stretch and exercise before they go on their run.